Through their performances so far this season, it is evident that Manchester United need to bring in defensive reinforcements if they are to stand a chance of competing with Europe’s elite clubs. The Red Devils have been linked with several centre-backs, but they only intend to sign the best of the lot, as their stature in world football demands. Napoli superstar Kalidou Koulibaly, who is considered amongst the best central defenders on the planet, has been consistently rumoured to be the Mancunian outfit’s prime transfer target. In fact, the 20-time English champions are reportedly prepared to surpass the world record fee of £75m paid by Liverpool for Virgil van Dijk, by shelling out north of £100m for the Senegalese international. But before Manchester United bring in Koulibaly, or any defensive signing for that matter, they need to get rid of some of the players already on their roster, so as to lighten the wage bill. Victor Lindelof currently seems to be the only reliable long-term option at the back. 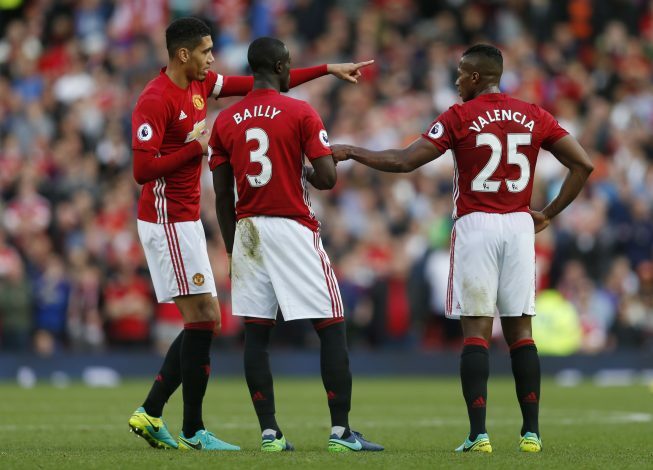 The likes of Phil Jones, Eric Bailly, and Chris Smalling have been inconsistent as well as injury-prone, but none have been as unfortunate as Marcos Rojo. The Argentina international has only managed to make 3 appearances for the Reds so far this season. Last week, he was sent back to his homeland from United’s training camp in Dubai, in order to recover from his latest injury concern. Naturally, Rojo happens to be the obvious candidate to be offloaded before a new signing is brought in at the Theatre of Dreams, and the club intends to do just that, as per Metro. The 28-year-old had attracted interest from Premier League clubs Everton and Wolves the previous summer, and it remains to be seen which clubs express interest in his services this time around.